MOGADISHU, Somalia-Somali cabinet ministers have said, they are seriously concerned about reports alleging that the United Nations World Food Program (WFP) tried to airlift expired food aid to drought-hit region, Garowe Online reports. Interior Minister Abdirahman Odawa made a briefing regarding cooking oil that was reported to be past expiration date and sacks of smelly maize and sorghum. 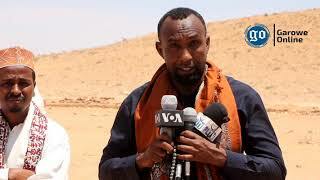 He said, authorities have taken immediate steps to ensure that the expired consignment does not reach hundreds in need of assistance in southwestern Gedo region. The government vowed to bring those responsible to book for the serious mishap. 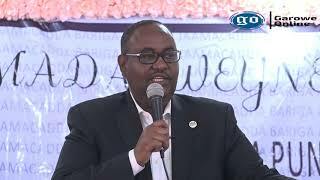 Earlier, Deputy Minister of Agriculture Abdiasis Salah Arman shared his concerns, calling the error to send expired aid flight ‘unfortunate’. 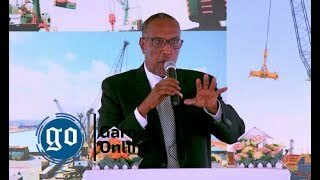 “We have told WFP to buy maize, beans, sorghum and oil which are abundantly available from Somali farmers so many times in the past, but this fell on deaf ears. 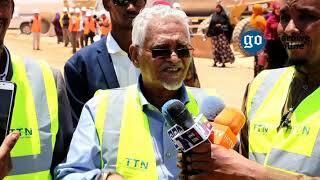 The incident at the airport is something seriously alarming,” Arman told Mogadishu-based radio station. The Somali official said, UN World Food Program failed to heed calls to coordinate relief efforts with Agriculture Ministry. 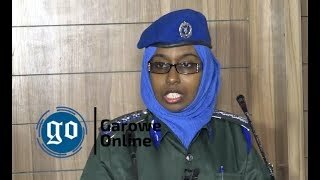 Aviation officer was earlier quoted as saying that sacks seized from a WFP plane making a takeoff at Mogadishu’s Adan Ade international airport were containing tons of damaged food. Challiss McDonough, a spokeswoman for WFP in Nairobi disclosed that they were looking into the matter. "We are checking whether any of the commodities may have been improperly stored and damaged," she told German Press Agency. The spokeswoman stressed that the well-being of the people they assist is a top priority, adding: “We take every possible measure to see that the food we distribute meets the highest standards of quality and safety.” WFP hopes to resolve the issue in talks with Somali authorities on the ground. Somalia has begun to recover from months of ravaging drought which threatened the country’s already-fragile humanitarian situation. DHUSAMAREB, Somalia-Sufism-inspired militias from the paramilitary group of Ahlu SunnaWal Jamea have retained control of a strategic town in central Somalia following fierce fighting into Wednesday, Garowe Online reports.